Fantastic stay in Cristal with June and her husband! They went above and beyond to ensure we had an excellent stay, helping us with an awesome deal on a rental car to sharing fresh fruit and treats with us! Highly recommend! Mihalis and June were the best hosts one can imagine. They always made sure that we had everything we need and even prepared us fresh fruits and drinks when we came back from the beach. Additionally they cleaned the room everyday. 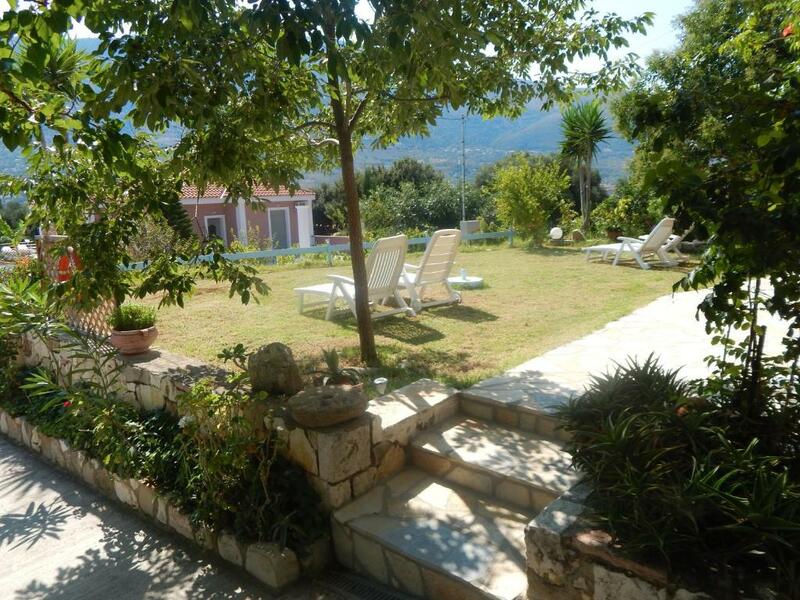 The house is situated in a very nice area of the island, with a gorgeous view and delicious restaurants as well as amazing beaches close by. We loved it and would come back anytime. Thanks June and Mihalis for your hospitality! Why Zola we were asked? How wrong this person was!! Such a lovely village as a gateway to some of the most beautiful beaches in the world! The owners are so friendly and recommended the tavern down by the little bay. Too bad we did not have time to get a boat to Fteri beach as there is no access by car. However, there is Myrtos beach - unbelievable! And Petani beach - also beautiful. Locals here are so blessed with this beauty! Excellent location, nice and super friendly owners. Very clean apartment. Quiet neighbourhood, with nice local restaurant. The nearby beach is superb. The hosts were amazing and so friendly! We only had 1 night here but we spent over an hour speaking with them on arrival and before leaving. The surroundings of this place are great too, with restaurants and a great beach too with scenic views all round. The room was very spacious too! 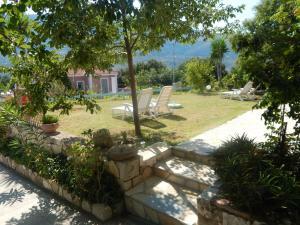 Very quiet, homely and friendly property. Hosts Mihalis & June could not be better! Mihalis and June are great hosts! Every night they greeted us with a drink and sat with us and told us stories about Kefalonia! Very nice place, very comfortable bed. Very nice Vouti beach close to the accomodation. An excellent compromise between quality and price, our room at Cristal Studios offered a comfortable, clean and tidy point of relax for 2 persons with really friendly welcome by the owners (thx a lot). You can find parking, air conditioning and a small kitchen. Zola is a small greek town close to the beautyful beaches of Vouti (our favourite... really nice for snorkelling) and Ag.Kiriaky. You can find 2 taverna in the nearby (maybe more in Jul-Aug). You can reach everypoint of Kefalonia in max 1 hour 15 min. Lock in a great price for Cristal Studios – rated 9.4 by recent guests! 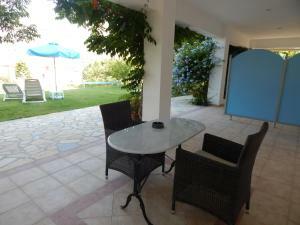 Located in the village of Zola on a quiet side road a short walk to the beaches and the restaurants. Cristal Studios offers breathtaking views of the Ionian Sea and Agia Kyriaki beach. 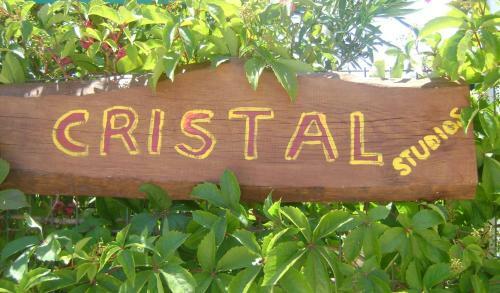 Cristal Studios consists of 4 self-catering studios set amid a blossomed and furnished garden with patio. Each is equipped with a kitchen and dining area, free WiFi, air conditioning and free parking. This studio comes with 2 separate bedrooms and 2 bathrooms. It also includes a fully equipped kitchen, a living room, a dining area with smart TV, garden furniture, free WiFi. 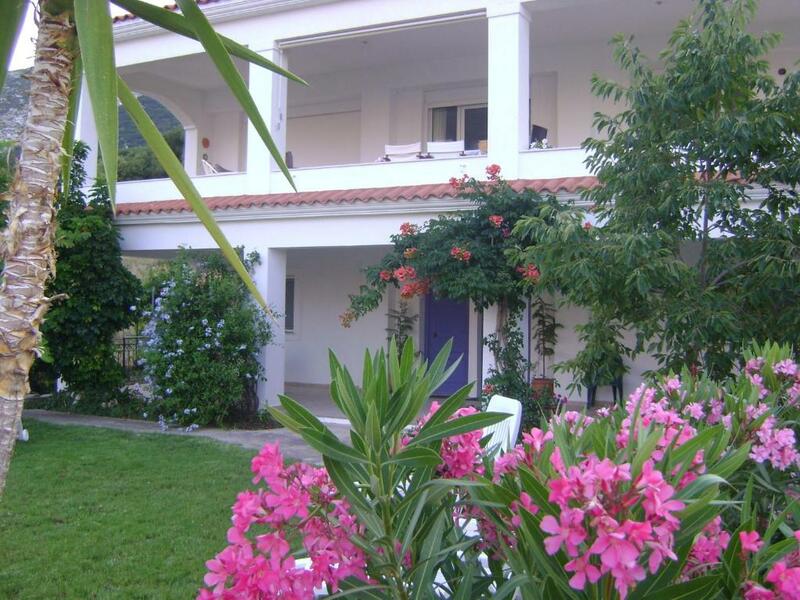 Cristal Studios central location offers an ideal base to explore Kefalonia. Agia Efimia is 11 mi away and the famous Myrtos Beach about is 6.2 mi away. The town of Argostoli is within 13 mi and Luxouri within 11 mi. When would you like to stay at Cristal Studios? 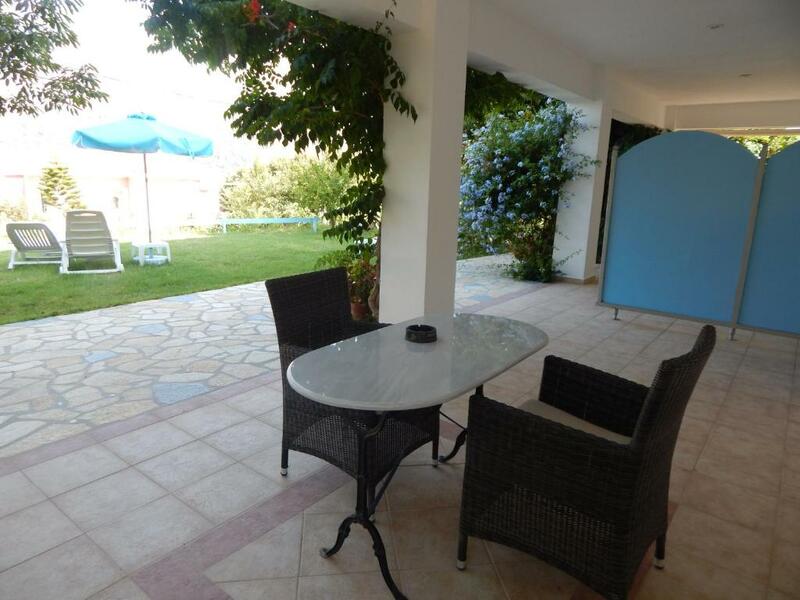 Overlooking the Ionian Sea, the garden or the mountain from its balcony or patio, this air-conditioned room features a kitchenette with dining area. A fridge, an electric oven and a hairdryer are available. This room does not offer pool access. House Rules Cristal Studios takes special requests – add in the next step! Cristal Studios accepts these cards and reserves the right to temporarily hold an amount prior to arrival. Please inform Cristal Studios of your expected arrival time in advance. You can use the Special Requests box when booking, or contact the property directly using the contact details in your confirmation. The only downside was that the next supermarket is about 15min away of the house, but for us it was always possible to find one on the way home from the beach, or from other trips on the island. 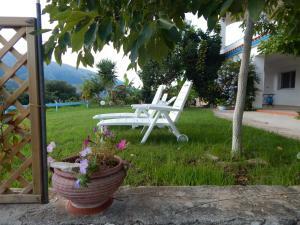 A spacious comfortable room with a verandah and a lawn in a very quiet village. Few minutes of driving from beautiful beaches, some 100 meters from a good taverna with a terrace overseeing the bay. Very kind and hospitable hosts offering me bread and fruits, and inviting me to taste wine. A guest will find in the room a (very well done) booklet with a map, photos and descriptions of Kefalonian beaches. We suggest to take a car in any case for moving. Teeny tiny shower. The hosts know - it's next on their list. Comfy bed ( topper used to make twin a double) We had one of the two rooms facing towards the sea. Amazing. Sundowners on the chairs looking over the cove and brekkie undercover in the morning. Baker comes at 9 am every morning (as no shop in Zola town) - you can buy pies etc for lunches if you want to save cash. Tea/ coffee/ basic cleaning gear all in there. Great hosts. Beaches nearby are brilliant coves. We did Vouti - but there are others you can hike / boat to. Restaurant in town square and fisherman hut by beach. Zola is a very beautiful Little Village and definitively worth a stop! There are nice flowery gardens and old olive trees everywhere and two small beaches. The great hospitality of Michaelis and his wife make this place very special! The rooms are surrounded by a gorgeous garden with many flowers and butterflies. Michaelis has many interesting facts and stories to tell which are nice to listen to over a glass of homemade vine. Every morning the bakery car stops in front of the house for fresh bread. We would definitely come back! Peaceful location with dramatic view from a large terrace. Very comfy beds which were made every day - didn't expect that ! Lots of local knowledge from friendly hosts. The hosts were extremely helpful and friendly. It is an area which has a charming rural aspect and hasn't been spoilt by tourism.